Following on from the previous 2018/19 Warbird People posts which has taken a look at pioneer/WW1 aircraft and 1930s racers, this post brings things a little more up to date. That is of course, in relative terms. In a time when classic jets seem to be in something of a lull in UK skies I thought it would be an interesting insight to speak with a thriving classic jet team operating in the United States. For this post I spoke with Gregory “Wired” Colyer may have been the first aviator in his family, but he certainly caught the “bug” early. Though he is “not sure where that came from” it has been with him from an early age. He took his first flying lesson at 18 and had his licence by 18. The target had always been a fighter pilot, but that wasn’t to be and injury put an end to plans to fly rotary wing types in the Army as well. After that initial flight training and associated set backs, the idea of flying for a living was “shelved” but Gregory kept his hand and in and started work as an air traffic controller. In 2000, the first jet was acquired in the shape of an L-29, which was flown regularly alongside the more familiar L-39, two Russian trainers that have been regulars at western airshows over the years (the latter now well-known as the mount for the Breitling Jet Team). 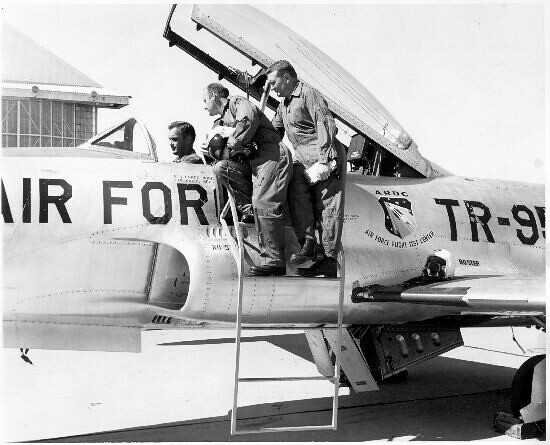 After a few years flying these types the first Lockheed T-33 came around. It was possible to fly an “hour or two a month” as jet fuel was so cheap at the time. With the financial crisis in 2008 came a sharp increase in the running costs of a vintage jet. This challenge in keeping his hobby going led to the move to airshow flying. Fast forward to today and Gregory has just completed his 10th year of airshow flying, having given up air traffic work seven years ago. During this time period he has flown over 800 sorties at 275 different venues. Recently he has had the honour of teaching at the Test Pilot School at Edwards Air Force Base as well. Clearly the pairing of T-33 and pilot has worked well over the years, but why was the T-33 chosen? The answer was quite simple; “It was one of my favourite jets growing up” not to mention “its place in American history”. 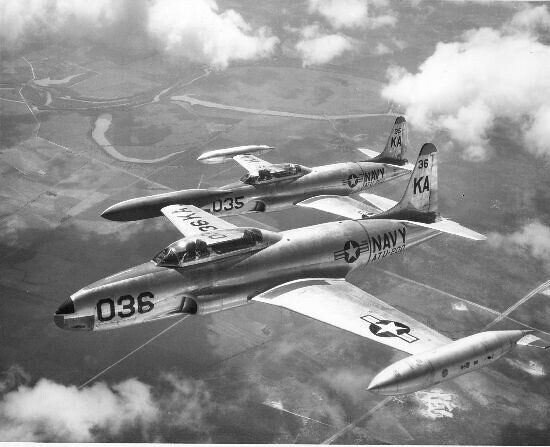 The T-33 is of course the training development of the Lockheed P-80 Shooting Star, the first operational US Built jet. It also one in a long line of classic “Skunk Work” designs from Kelly Johnson. The majority of US aces that flew in Korea trained on T-33s, which is how the display name of “Ace Maker” that adorns each of the airframes came from. When it came time to move from simply flying the T-33 in a display environment, Gregory pulled out the Royal Canadian Air Force manual of aerobatics for the machine and started teaching himself the permutable figures. The routine then developed from there by blending together a combination of vertical, high speed, low speed and dynamic manoeuvres to create the impressive routine delivered today. As an act “people love watching it fly”, from the pilot’s perspective “it thrives in the airshow environment” as it is possible to “keep it in front of the crowd line the whole time”. The T-33 “maintains its energy very well” and “actually hard to slow down”. Flying the aeroplane poses no particular challenges, though the lack of autopilot makes instrument flying “a lot of work” it is not possible to trim “hands off” which adds to this. If trim can be achieved “you only have a few seconds until wander”. Take off is straightforward, with care being taken to “keep the climb out shallow and let her accelerate to 250-270 knots” before climbing. Landing has to be approached with care as an additional 5 knots speed on touchdown can “add 500ft to the stopping distance”. The jet typically required a runway of around 6000ft for normal operations. With 1500 hours on the type its easy to forget some of the challenges that a new pilot to the type might face. The controls are very sensitive, which makes the aeroplane a challenge to fly precisely. The fuel system is also complex and very much manual, requiring constant monitoring and adjustment to manage fuel load and use of tanks. A T-33, like any vintage aeroplane is not without challenges, though these are largely limited to acquiring spare parts as such items get harder to come by. Overall the T-33 is a “pretty robust and reliable jet”. 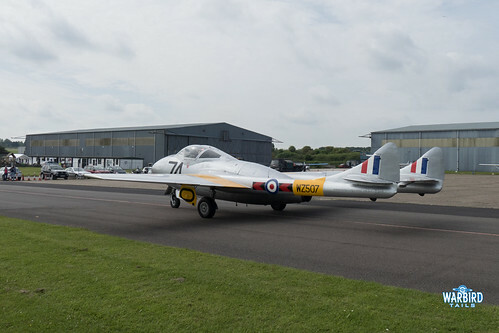 Aside from the Russian trainers mentioned earlier in this piece, Gregory has also flown the de Havilland Vampire and while the T-33 is a larger and heavier aeroplane than all the other types, it will “outperform any straight-wing non-afterburning jet”. Not bad for an original design of over 70 years old! As a UK enthusiast speaking displaying classic jets I asked Gregory if there was any particular reason why operating classic jets seems to be an easier task across the Atlantic. Aside from the obvious recent change in regulations, which are less tough in the states, this was put down to cheaper fuel prices which makes operations far more practical. Operating in the US does involve a great deal of ferry flying so the range of these jets is always going to be important. The T-33 can achieve a range of around 1000 miles on a good day, with around 800 being a typical reduced amount, depending on weather. The longest leg flown was around 1,100 miles, from Texas to Virginia. As a result of the significant levels of bookings and sheer scale of the US airshow circuit, Gregory has actually acquired a second T-33 in 2014 so he could cater for East and West coast shows with far less ferry flying. This not only saves both time and hours on the airframe, but also on booking costs, making the act more appealing. Gregory informed me that with the new role at Edwards, he has just acquired Ace Maker III, a third airframe to ensure that both training and airshow work can be carried out. On a further exciting note, a Lockheed T2V-1A SeaStar has also been acquired, which is the Naval version of the airframe. This is hoped to be flying in due course as well. Even with two airframes cutting down ferrying times, the T-33s soon became so popular that an additional pilot needed to join the team, Buzz, an ex FA-18 pilot joined in 2018 and together the Ace Maker aircraft preformed at 48 venues. All of the aircraft are effectively stock aeroplanes, aside from GPS, certainly a useful tool with the amounts of ferry flights that have to be carried out. 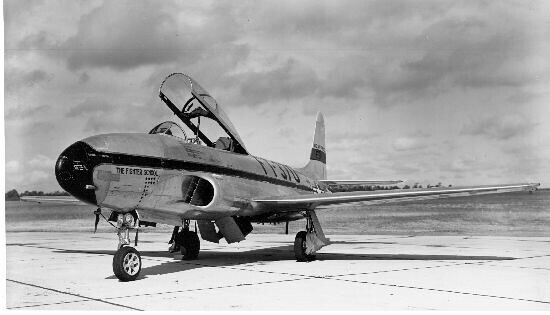 With an impressive career of display flying and experience already behind him, Gregory still has hopes of flying another desirable early jet, the F-86 Sabre. This is something he hopes to add to his logbook in the not too distant future. Out of all that display flying over the past 10 years, Gregory shared one of his highlights. Alongside the California International Airshow at Salinas, he mentioned San Fransisco fleet week, being his home show sticks in his memory, flying with the Golden Gate bridge as a backdrop. As you can see from the shot above, it certainly looks impressive! I’d like to thank Gregory for his time and assistance in putting this article together and providing a great insight into large-scale multi aircraft display flying logistics. If you are interested in reading/hearing more or booking Ace Maker airshows in the future, do check out the website. All images in this post are credited to their respective sources aside from those archive shots, which are from the San Diego Air and Space Museum archive.